Last weekend I was taking pictures of the roses; it is still to cold for the time of year and it’s taking the roses a long time to start flowering. In some roses the buds are starting to look promising, but the waiting for the first flowers to appear is difficult. By taking pictures of the flower buds I discovered that there are many shades of green (and red) in the new growth. 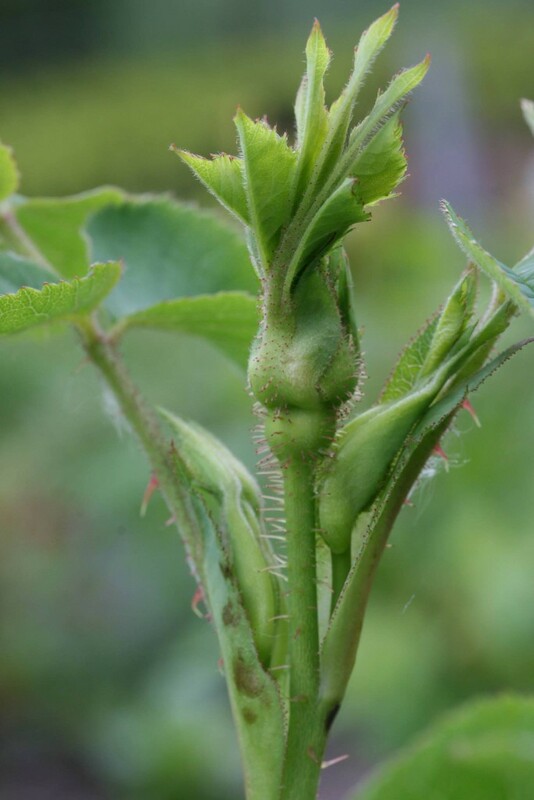 Also the sepals of some flower buds are truly beautiful to see, such as the long sepals of the Agatha rose. Dit bericht werd geplaatst in News en getagged met Agatha op 22 mei 2013 door Monique.